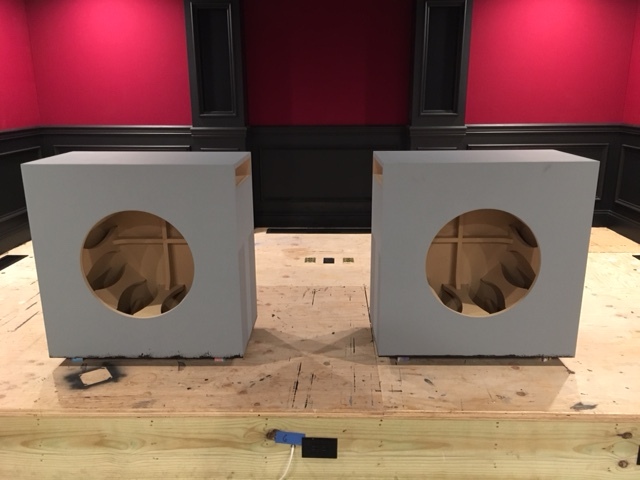 This is the third set of speakers I've ever built. This is one of the last things I have to do for my theater room. Hopefully this thread would help people in the future as well as help me finish these things off over the course of this week. I got lucky ordering these as I understand they are perpetually out of stock on the DIYSG site. However, this time, the cabinets came fully assembled! This saved me a TON of time. 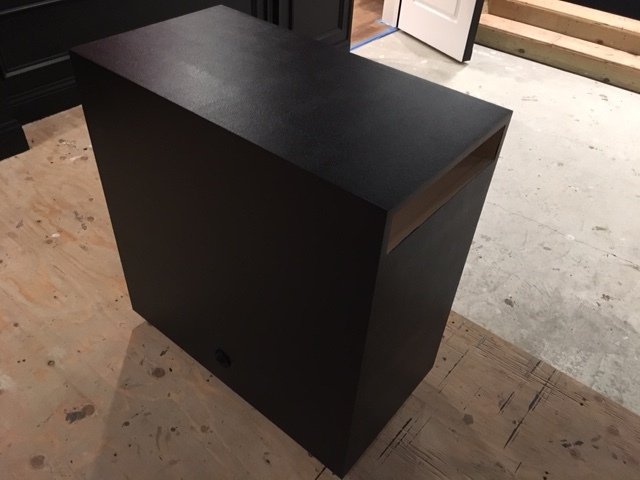 The cabinets were packaged great and the construction was very good - better than I could have done if I had to assemble them myself. Nothing magical about these first steps. 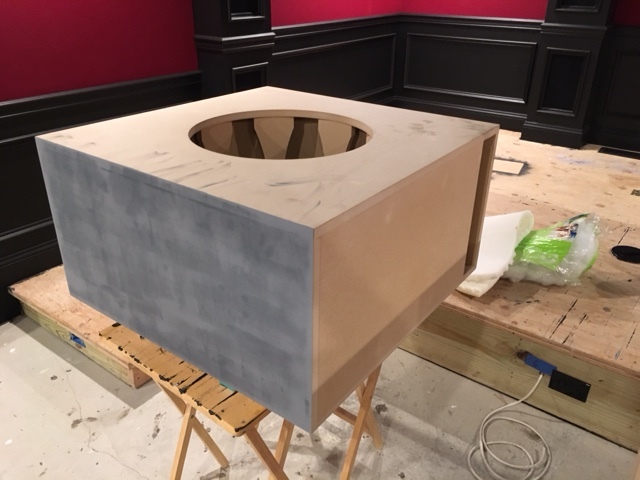 I used Kilz primer for the first coat to seal the edges of the MDF and then applied 2 heavy coats of Duratex. I finished some Volt 6s and some 1099s over the last few months and wasn't 100% happy with the paint job because I was putting on too thin of a coat with a foam roller. This time I got a regular 4" nap roller and really slopped on the paint hoping to get more texture in the finished product. Not only did I get the texture I wanted but you cannot see any lines from the roller. I think from now on I'll be going heavy with the Duratex finish. Primer was up first - I painted the bottom, let it dry and then tipped them up to do the other 5 sides. These are going behind an AT screen so no one will see them but I still wanted to do a good job. These pics were taken while the cabinets were still wet so there is a bit of glare but now that they have dried they look great. bscool, Samps and Bplaser like this. 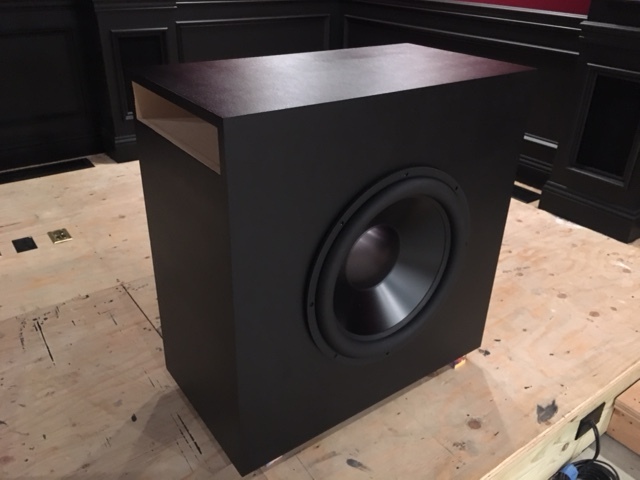 I will be using an 18" Dayton driver (RSS460HO-4). 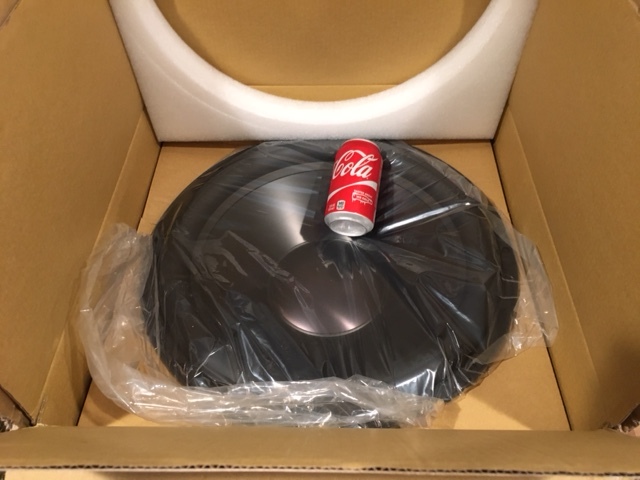 Here is a pic (soda can for scale). They are huge!! Question: Do these just screw into place through the MDF or do I have to do anything special? 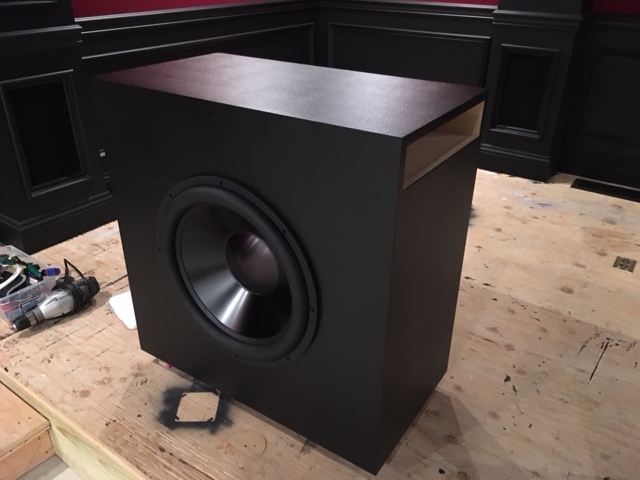 Parts arrive Wednesday so I'm hoping to finish up before the end of the week. In the meantime I'll line the inside with some mattress topper using spray adhesive. Maybe. Banana plugs? Do you mean crimp connectors? I bought 2 of THESE THINGS just in case because I couldn't tell how the speaker wires connect to the driver. I probably don't need them but I wasn't sure and I needed to get my order in today so I'd have the parts by Wednesday. Wiring will connect to your RSS460HO-4 via spring loaded clips which should have come installed on the driver itself. The other end of the wire which connects to the tabs on the Neutrik chassis mount will either need to be soldered or connected via crimp connectors, something like I suggested on that other thread of yours. CRIMPS Just wanted to make sure you ordered those too or have the soldering iron on hand. I hate sitting on my hands waiting for some minuscule but critical part to ship. OK so it sounds like I don't need the banana clips... oh well. I'm all set on connecting to the chassis mount. I can solder or use crimp connectors since I've got a ton of those laying around. 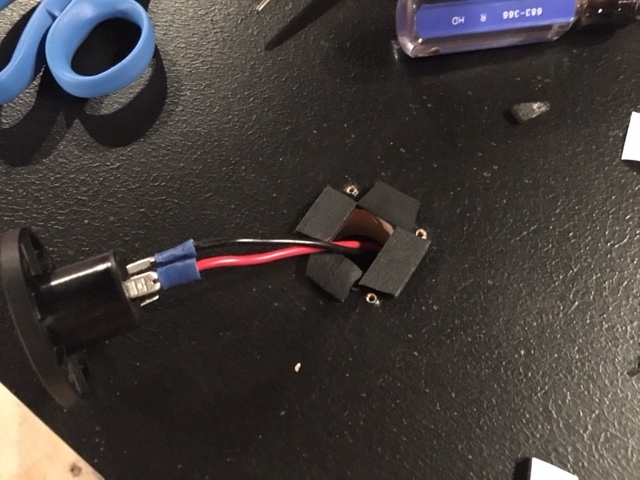 Solder would be sturdier connection but I don't want to mess up the connection if I get some solder where I shouldn't... I'll decide once I have everything in hand! You can just use screws but be careful the MDF will strip easily(pre drill the holes) or put a piece of plywood behind the screw areas. I like using T-nuts or inserts but many do not like them because if you don't install them correctly they will push out or spin making it so you cannot get the driver out. 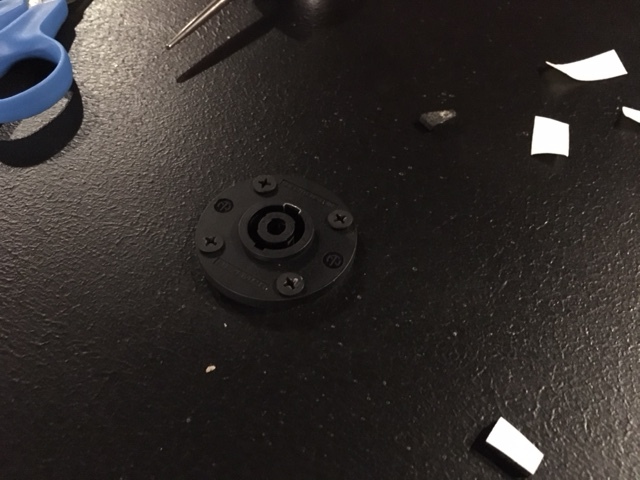 You have to be careful to not push down when removing or inserting the bolts, also gluing the T-nut in helps hold them in place. Last edited by bscool; 09-16-2017 at 10:39 AM. The Stonehenge hasn't really gone out of stock. I just haven't been able to ship them in boxes because the cardboard box manufacturer raised their minimum order to 250 shipping boxes, and that flat pack takes two custom boxes. All of that would just take up too much space. But when someone is ordering other kits the Stonehenge can ship for nearly free on a pallet with the other stuff which works out okay. 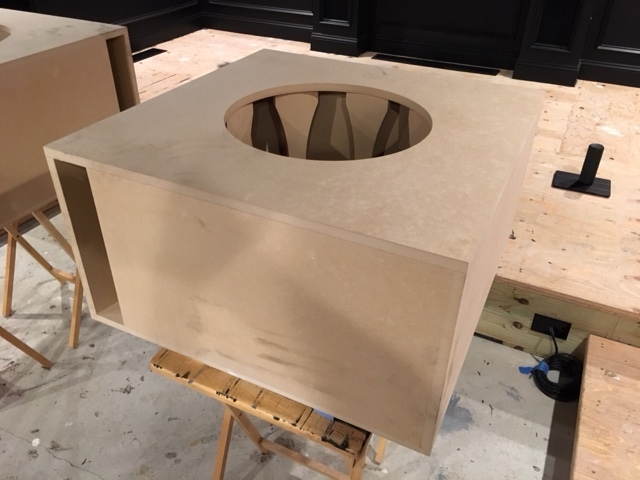 So far I think most people got them assembled by the cabinet guy that does the bamboo and Corian cabinets. He's been assembling any of the flat packs for a couple years now. I just haven't put the info on the site because I'm not sure how much demand there is and the site can't really calculate shipping properly for all of that stuff. bscool, Nexgen76, mrc12973 and 3 others like this. Are those cones oscillating yet? Not yet but soon. The plan is to finish this weekend. All the parts arrived on Wednesday so I'm good to go. One thing I was wondering - what kind of screws should I be using to secure the driver to the box? I am not going to go the t-nut route because I don't ever think I'll touch these again once they are behind the screen wall. 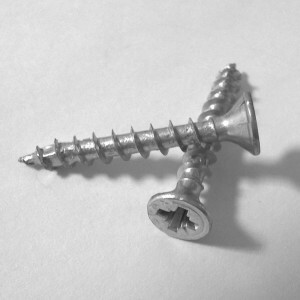 Home Depot does not sell black pan head screws and the shortes drywall screw they carry is 1-1/4", which is too big. 3/4" seems more appropriate to me. Suggestions are appreciated! 1-1/4", which is too big. 3/4" seems more appropriate to me. Suggestions are appreciated! A more seasoned driver mounter may correct me, but I don't see an issue with the tip of the screw protruding 1/2" into the box. Is there a certain screw I should be using to attach the driver? 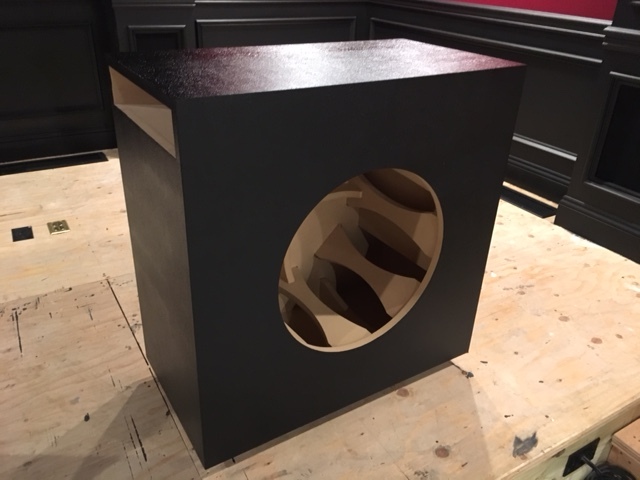 Also, I lined the perimeter of the box with foam but the back panel is going to be very hard to do because of the bracing. Does it matter if I leave out the foam there or should I be going for total coverage on the interior? If you don't mind the silver color of the screws, I like the spax coarse thread screws. 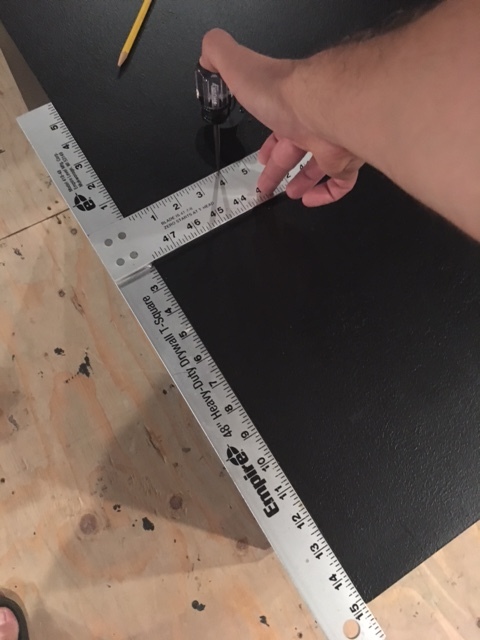 They have a nice deep wide thread that seems to hold well in MDF and Plywood. They also come with a special bit that prevents stripping out the threads. The screw protruding through the wood into the box is fine. I personally prefer it that way because you know you have the most wood to screw contact as possible. The only downside I can think of is the pointy screw possibly catching on a loose speaker wire and shorting it out, but that's unlikely. If you're going to mount the drivers and leave them in, then you don't need anything more than the screw into the mdf. If you pull the drivers out more than once, the mdf might weaken a little in the screw holes. But you could always rotate the driver at that point. You could use the stuffing from a Walmart pillow or some insulation if you want. A good design perk is having the mounting screws going into the braces. Get a marker or pencil and somewhat dot around where the braces are - on the front baffle. Get some zip ties and tie one on each end of the sub through the mounting holes. Drop the sub in. See your pencil markings so you know there's a brace underneath. Mark with a darker marker the 8 mounting holes. Pull driver out with zip ties as handles. Use a small(er) drill bit and pre dill holes you marked. Drop sub back in. Use at least a #8 screw, can probably get away with a #10. At least 3/4" as well. 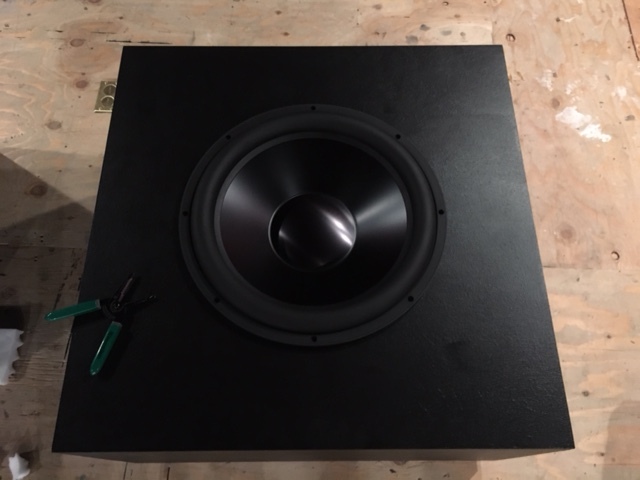 Yeah i would use adhesive to attach scrap wood strips behind the baffle where the screw holes will be so you have more material to bite into. Preferably plywood or solid wood. Thanks! I've got plenty of screws like that. It will trigger me that they aren't black but I'll paint the heads or something. Next question - where does the Chassis Mountgo on the back typically? I know it can go anywhere but is there a preferred location? I was thinking centered a few inches from the bottom of the cabinet. It actually doesnt matter. As long as the port is not blocked. Last edited by bgtighe23; 09-16-2017 at 09:00 PM. Thanks! I think I'm all set now. Any reason to think you aren't connecting them properly? Any questions? Are you using binding posts or SpeakOns? 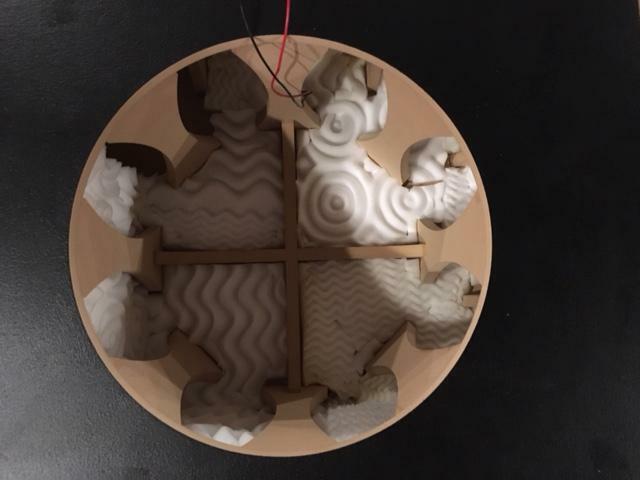 I'm using Speakons for the connections (4 pole). 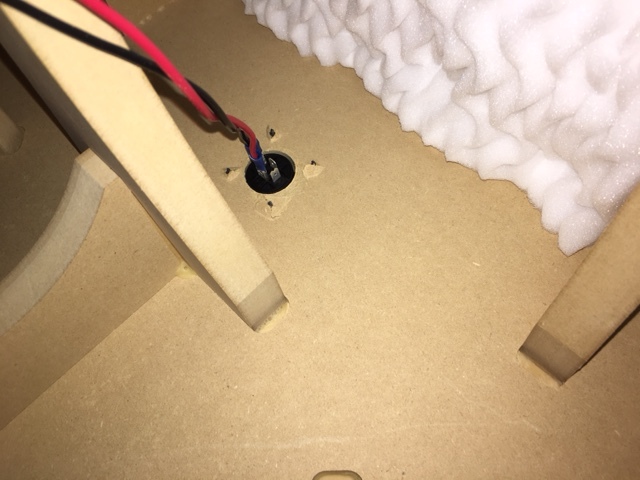 I don't have any reason to think that I'm not connecting them properly - just that the spring action on the connectors seems tight so there will be pressure on the wires. That's a good thing. Watching the video, they took completely normal. Here we go... 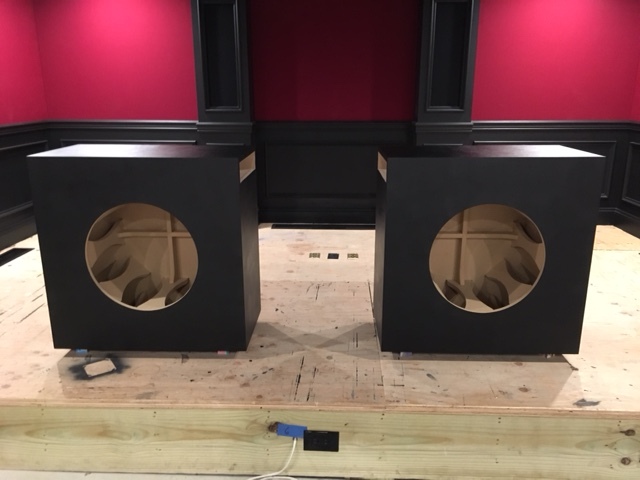 I managed to completely finish the subs this weekend. The first thing I did was wire up the chassis mount. This was pretty easy to do - I used 3/8" crimp connectors and some leftover 16 gauge wire from my 1099 project. I wired both to the "1" connections on the chassis mount (the "2" will not be used). Once that was complete I needed to drill the holes in the back of the cabinets for the chassis mount. 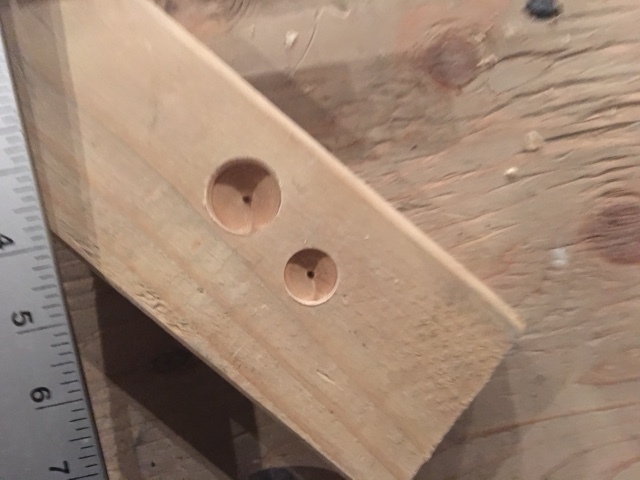 I wasn't sure what size hole to drill so I tested a 3/4" bit and a 1" bit in some scrap wood. 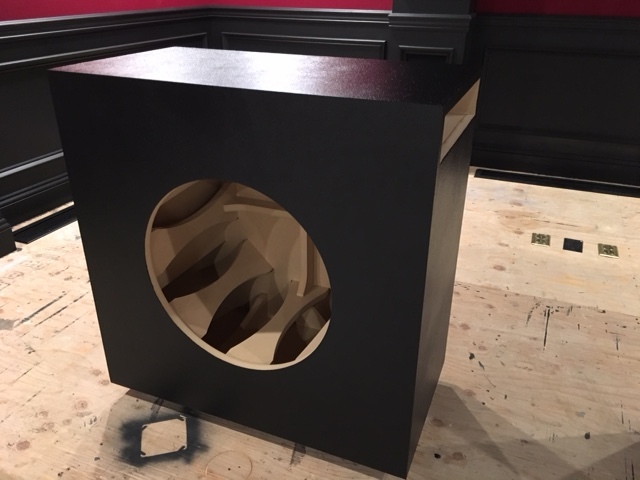 The 1" hole was a little big but the 3/4" hole was way too small so I went with the 1" hole (I used a Foerstner bit to drill). 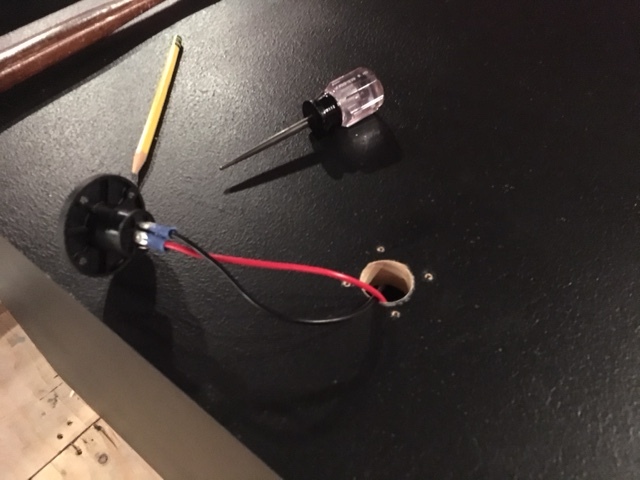 I decided to drill the hole dead center 4" up from the bottom but I suppose the connector could go anywhere. 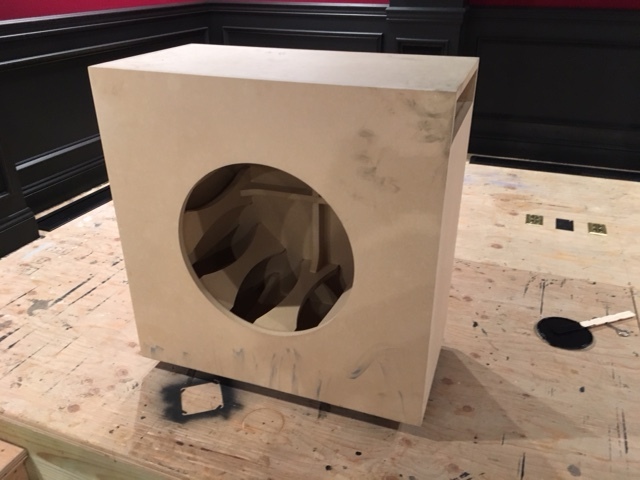 The bit cuts through the MDF like butter but there is some blowout on the back side you have to be careful of. I didn't really care but maybe some of you do. Once the hole was drilled, I threaded the wired chassis mount through and set it in place. Then, using my awl, I marked the locations of the screws and drilled out the holes. Finally, before screwing the chassis mount in place (using 1" wood screws - #8) I put some gasket tape around the hole to seal it up. Not sure if this is necessary but I figured it can't hurt. 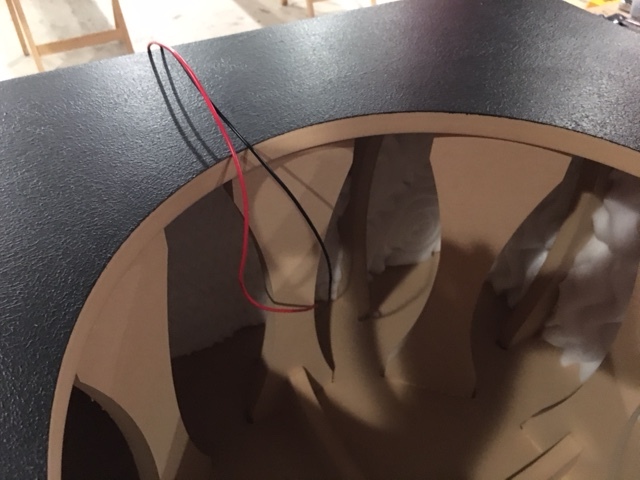 Next up was lining the inside of the cabinet with mattress foam and installing the drivers! Lining the inside of the cabinets was not hard but it did take a while because I had to work around all of the bracing. This probably took the longest out of everything I did to finish them off this weekend. The last thing to do was screw the driver in place. 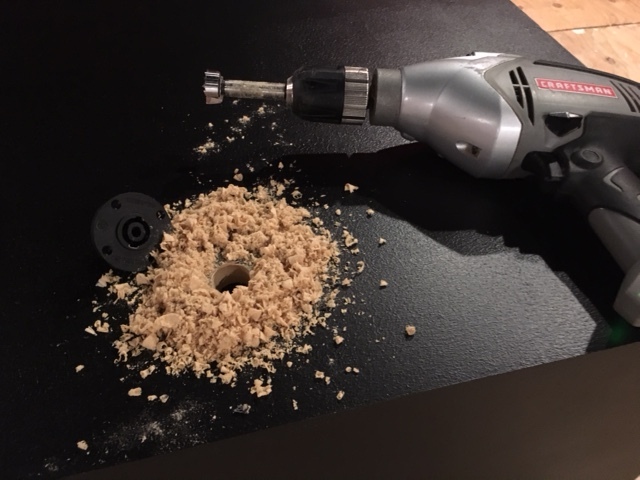 I used 1-5/8" drywall screws (#8) simply because I had a box of them laying around and they seems like they would work... and they did! I carefully placed the driver into the hole and centered the screw holes. Then with the driver in place I used my drill to pre-drill holes for the screws. 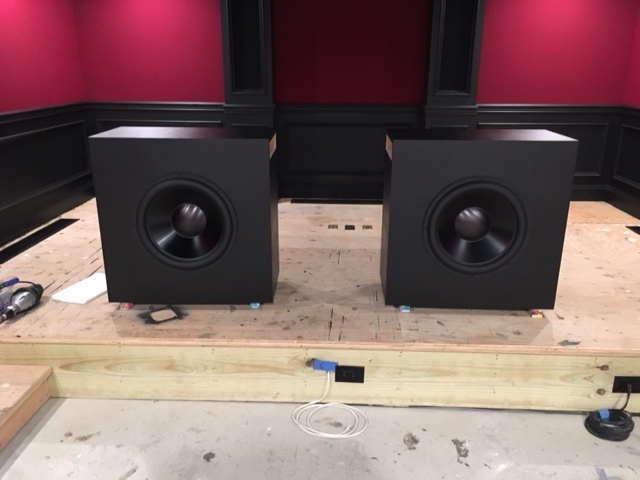 I'm hopefully going to be able to fire these up this coming weekend. I don't have anything to connect them to right now. This was a FUN project! bscool and markg35 like this. Thanks for looking and thanks to everyone who helped me - I couldn't have done this without the forums! bubbrik and mrc12973 like this. Nice build. I'm also looking at these cabinets. I noticed I can't get to the DIYSG site. Hopefully this is only temporary.